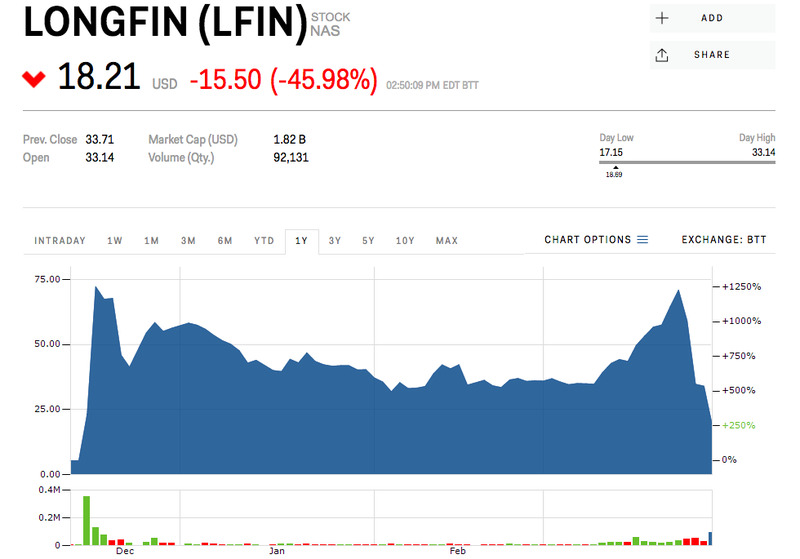 Longfin, a little-known import/export financier who’s stock popped 2,400% after purchasing a blockchain company, has lost three-quarters of its book value this week after being kicked off FTSE’s Russell index. The New York-based firm, listed in London, is set to be removed from the Russell 2000 index Thursday after failing to keep at least 5% of its shares available to the public, the exchange said in a statement Monday. 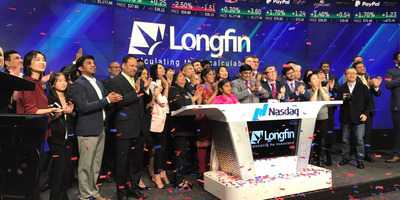 Shares of Longfin originally traded at just over $US5 when the company originally went public, but spiked as high as $US72.38, according to Markets Insider data, after announcing it had bought Ziddu, a blockchain company specializing in business-to-business warehouse payments. To add to Longfin’s pain, well-known short-seller Andrew Left’s Citron Research accused the company of fraud shortly after the announcement from FTSE. 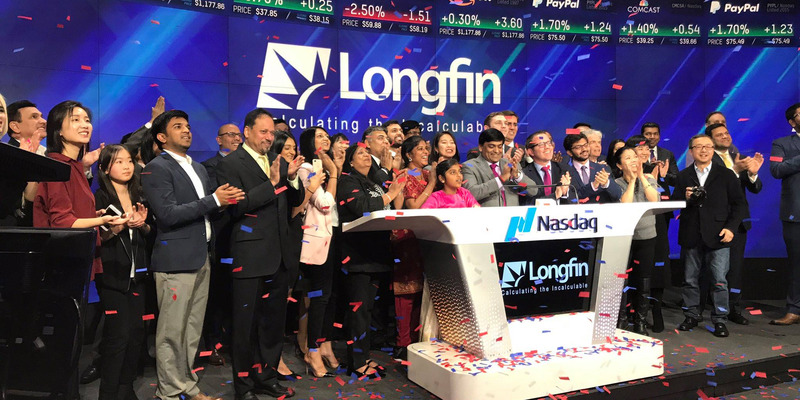 Despite the steep losses, Longfin’s stock is up 233% since its IPO.